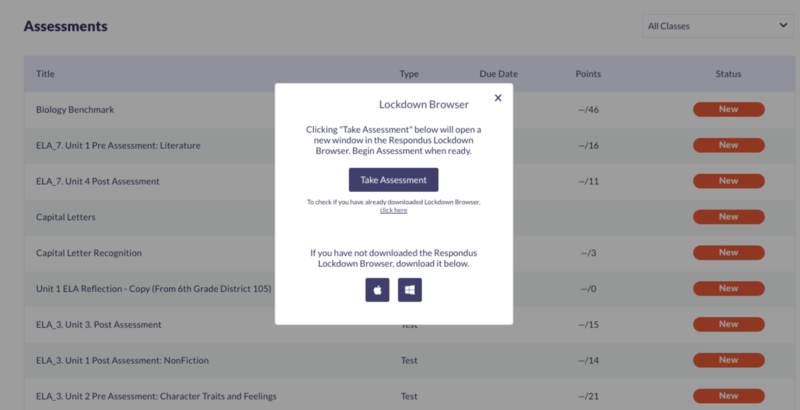 The Lockdown Browser feature allows teachers to assign assessments that disable access to other browser's while the assessment is in progress. 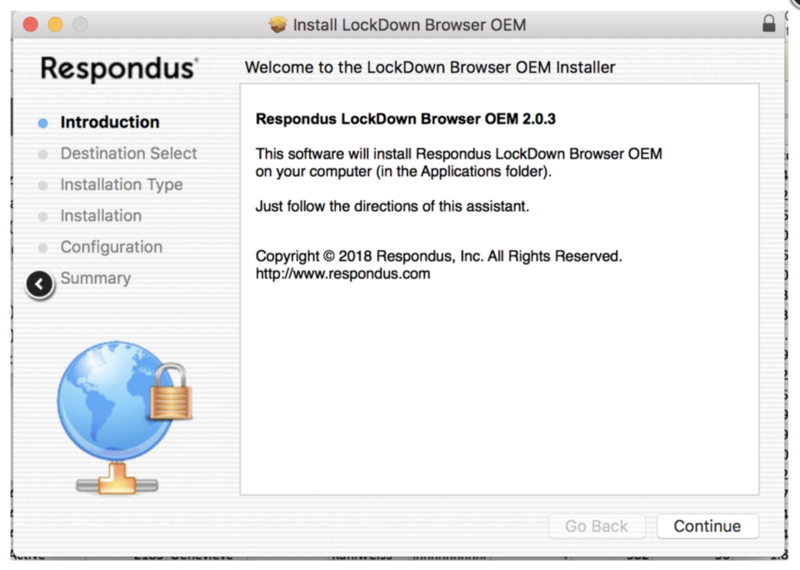 Before the assessment begins, the teacher/student will have to download the Lockdown Browser, needing an administrative password. Follow these steps to learn how! When the assessment begins, a screen will appear. Click the apple at the bottom to begin. 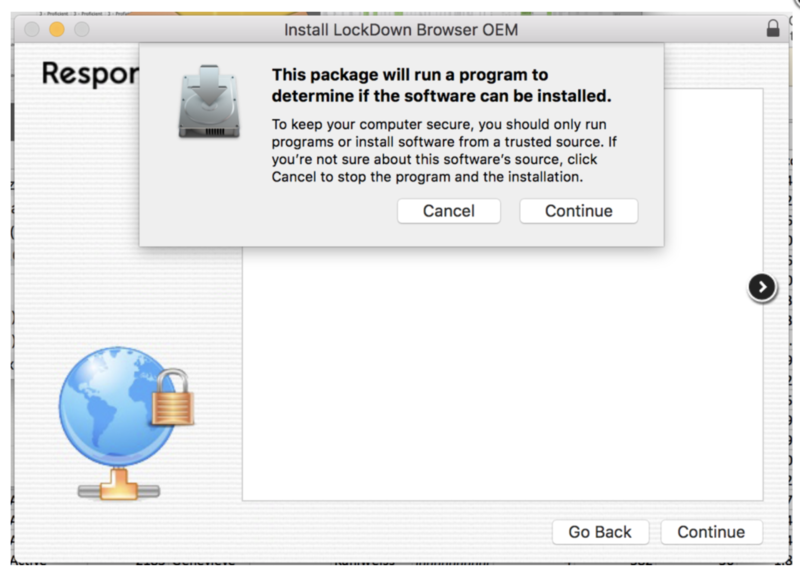 Once you have selected the apple, you will select Open Lockdown Browser CEM. 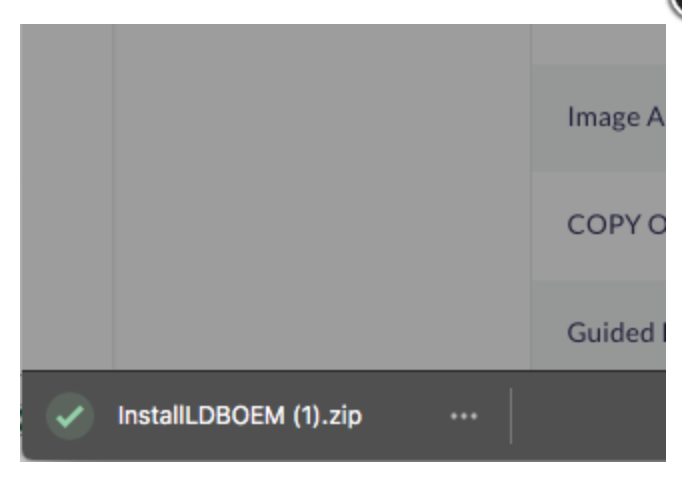 A zip file labeled InstallLDBOEM will appear at the bottom left corner of your browser. Follow the steps, clicking continue at the bottom right corner. Once you have continued, you will be presented with a screen that needs the administration password. 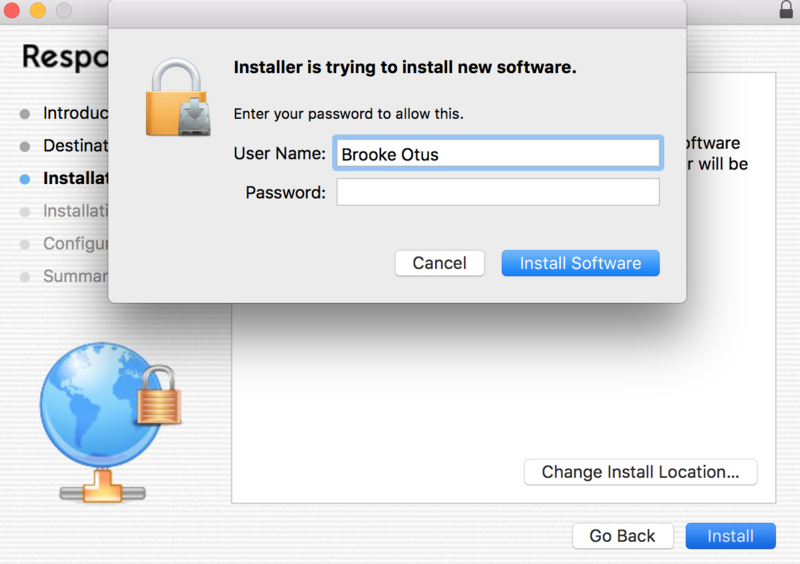 After the password is entered, you may install the Software. When download is complete, the assessment will begin! To download the Lockdown Browser, click here!